Dave blows the lid on the renamed MSR Windburner to see if it’s a versatile and efficient solo cook system. Combining award-winning Reactor® technology with the features solo travellers need most, the WindBurner Stove System is ideal for backcountry adventures and weekend camping alike. 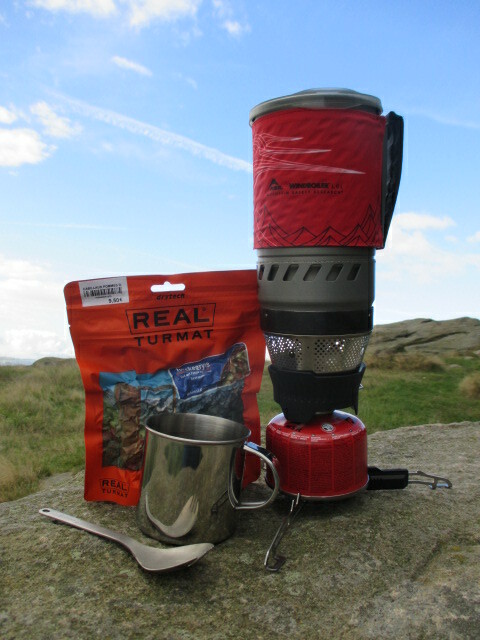 Earlier in the year Kev tested and reviewed the MSR Reactor stove and he concluded that the stove was great for backpackers and climbers but he’d had a few issues with the stove in the wind. The MSR Windburner is designed to work as a smaller version of the 1.7L Reactor stove. Built on the same Reactor technology and although slightly heavier than the 1L Reactor it is still a very compact and lightweight stove. When I’m on or leading expeditions I very rarely cook a meal (I quickly got fed up of scraping and trying to get rid of burnt food on the bottom of the pot). With such a delicious array of good quality, freeze dried food available online I generally just need to boil water. So the newer type of compact, all-in-one systems are really useful and I couldn’t imagine being without one. I have owned on ever since the first Jetboils and only use a pump type of stove for extended expeditions in the snow or in parts of the world where getting a gas canister is going to be a problem. 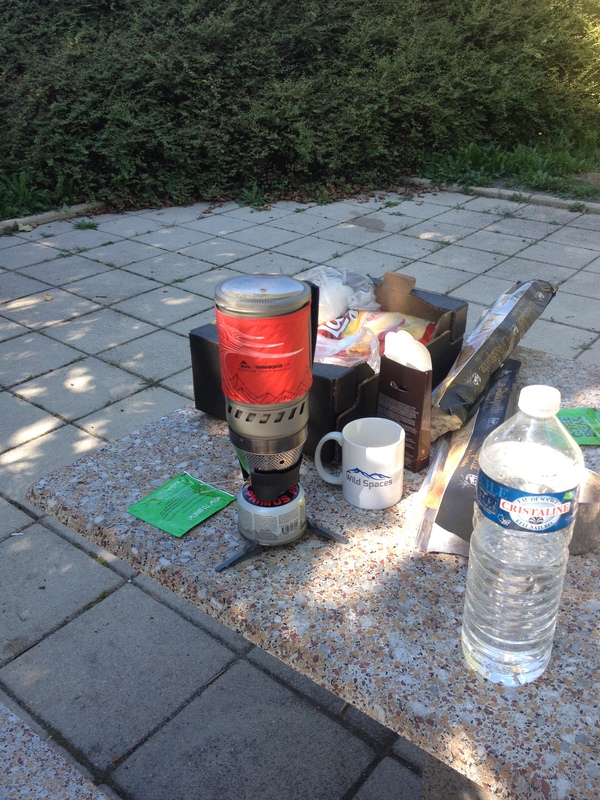 I have used the MSR Windburner for many of my summer adventures this season from bivving before and Alpine day, to multi day expeditions and brewing up at the crag and service stops (I’m just too tight to pay for overpriced service station coffee unless I absolutely have to) and have found the stove to be great in all situations. The MSR Winburner is light and compact. As I said earlier the Windburner is powered using the Reactor system, this doesn’t work like a conventional flame burner so don’t expect to see flames just expect to hear a quiet burn and a nice red glow coming out of the heat exchanger unit. This aided the windproof performance of the stove and the stove boiled water very fast in still low altitude conditions. The top of the stove is curved and is covered in fine gauze and a more robust and wider wire gauze, this disperses the flame evenly throughout the surface area creating a more efficient heat distribution across the bottom of the pan.It was nice and quiet. The Reactor technology was very efficient – don’t expect to see flames. Burn time is very dependant on a variety of factors: the amount of fuel left in the canister, your altitude, how cold or windy it is. So it isn’t fair to give boils speeds and the main test for me is how the stove performs in a variety of expedition and bivvy situations as that’s what I’m using it for. For cold and remote adventures I usually use a petrol stove and pan as this will melt snow more efficiently and cheaply. 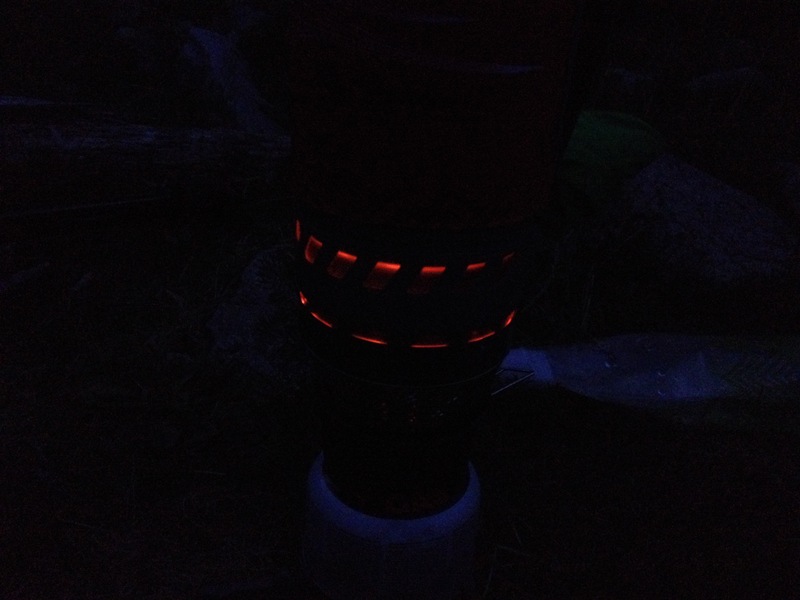 So I tested the Windburner as a 3 season stove unit for which it worked fine. 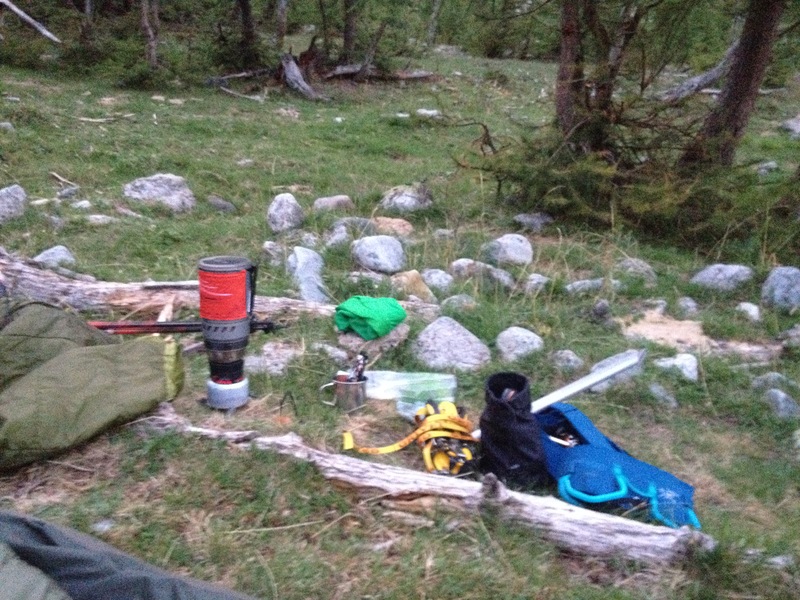 Still, cold and first thing in the morning and on a bivvy – 3mins 24 secs. This is in no way scientific but the conditions are realistic expedition ones and the stove did what it said it would on the box: it boiled water in windy conditions; efficiently and effectively. Compact enough to carry on a bivvy or solo expedition. The MSR Windburner comes with a 1 litre pot – although it is important to not overfill it as did on a few occasions as the boiling action will tip the pot over, even if you using the stand. I found it much easier to just fill the amount you need to a maximum of 600ml so when there were two of us we just boiled twice for food. The inside of the pot is stamped with measures in millilitres and ounces. The stove easily had the capacity for two people as long as you are patient. The pot is sealed with a clear plastic lid that has steam vents, a pouring spout and a central hole to accommodate a coffee press accessory. This sealed very tightly and the pot had to be held tightly in order to get the lid off, but the pouring spout worked fine and for most jobs this worked fine. The sleeve is made from a perforated plastic case with a stitched nylon outer. This is finished with a thicker, more rigid section to which the reinforced handle is attached. I found the best way to use this was to put four fingers through the handle and then have my hand around the pot, this gave me more accuracy when pouring. The sleeve can be easily removed by pulling a tab and sliding it off, this allows for the pot to be cleaned. Perfect for brew stops on the go or at the crag. Finally the bottom of the pot has the heat exchanger which is welded to the pot, This has 14 indents that mean there is absolutely no fiddling around trying to get the pot to locate in the stove unit, nice and sweet. Once located, it created a kind of sealed unit between the stove and the pot. This is what makes it really windproof and efficient, the combination of the reactor spreading of the flame and the sealed stove/pot unit worked very well. 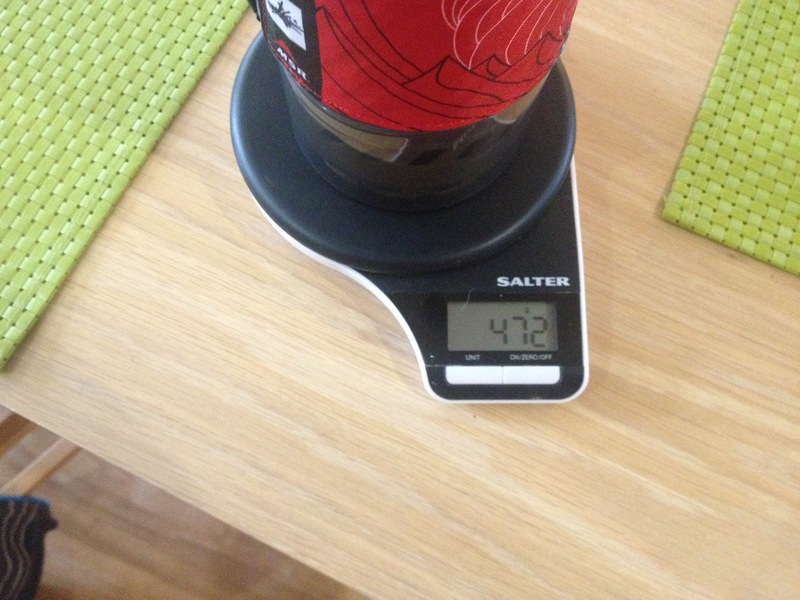 Onto that fits a clear plastic cup that can be used a coffee cup, you need to be very careful as this fits tightly and in very cold conditions a vacuum can build and the cup get very difficult to remove, so if venturing into cold conditions it might be wise to remove it. The stove unit was finished in plastic and steel with a foil like cover that allows air in. The gas control is the usual MSR wired handle that works very well with gloves. There are however a couple of niggles in this area: the handle folds and tucks very neatly into the stove by the threaded input. The problem here is that the handle has to be unwound a quarter of a turn before you can do this, this isn’t too much hassle unless of course you forget to tighten it back up before you screw the gas canister to it – which happens more often than you’d think. There are no other additional stands with the stove that allow it to be used with another type of pan, the Windbuner is designed to be used with the supplied pot only. That’s fine as when I choose this type of stove I only need something to boil water. The MSR adjustable stand is a worthwhile investment making the Winburner more stable. Finally all the parts all fitted into the pot very neatly: there is a square of packtowel material to wipe up excess water when the pot is empty, then a 100g (or 110g is using MSR fuel which manages to sqeeze an extra 10g of fuel into a standard 100g canister), the stove unit fits on top of the canister (both are stored upside down) and finally the plastic pot stand. On the subject of the pot stand, this has folding legs and holds both 100g and 250g canisters, this was made of plastic and was fine for general short term use. I supplemented it with the Universal Pot Stand for extended expeditions as this provides a much more sturdy pot stand which is made from steel. Other accessories that can be added are a coffee press lid and a hanging set for big wall or tent bivvies. Need to remember to tighten the handle before attaching canister. 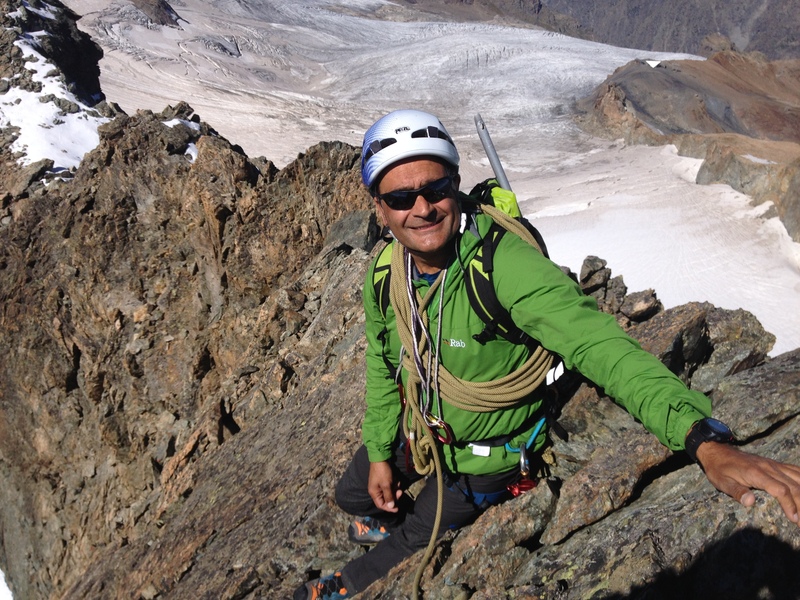 Dave Sarkar has tested reviewed climbing, mountaineering and outdoor equipment for almost 10 years. He is as a qualified MIA, working as a mountaineering instructor and expedition leader for his company Wild Spaces. When he isn’t working in the mountains he’s playing in the mountains and enjoys all aspects climbing and mountain sports whether bouldering at his local crag or ice climbing; as long as he’s going upwards he’s happy!